Sardinia 2017 / 16th International Waste Management and Landfill Symposium, organised by the International Waste Working Group (IWWG) with the support of numerous Italian and foreign universities was held from October 2-6 in Forte Village Resort, Pula (Cagliari, Italy). 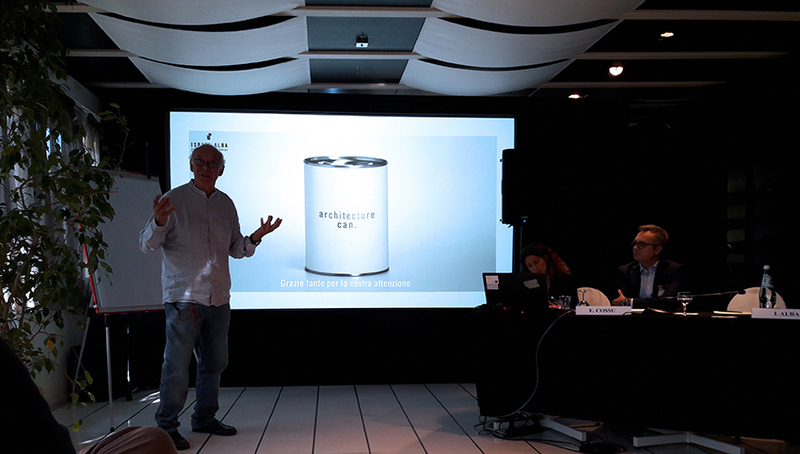 In the context of this important international event, the current edition of which was attended by approximately 700 delegates from all over the world, Studio Arcoplan introduced the thematic of Waste Architecture, intended as Architecture devoted to waste management and disposal, evidencing important synergies between Architecture and Environmental Engineering in an as yet uncharted design trend. Following the circulation of a call for papers not only to environmental experts, but also to architects, town planners and landscape designers, Arcoplan selected a total of 25 papers for oral presentation over a two day programme focussing on the functional rehabilitation of old and new landfills, reintegration of degraded areas, urban waste collection systems, large environmental engineering initiatives and their effect on the city, Circular Economy, buildings intended to house plants for the recovery of energy from waste and incinerators, and much more besides. In the opening session, the architect Israel Alba illustrated the projects he had undertaken (mainly in Spain), to demonstrate how high-quality architecture applied to waste management is capable of creating a social value. Indeed, architectural language can contribute significantly towards restoring amongst the community the appropriate perception of an infrastructure frequently negatively perceived when collocated in an urban setting (waste treatment plant, incinerator, waste collection station, etc…). 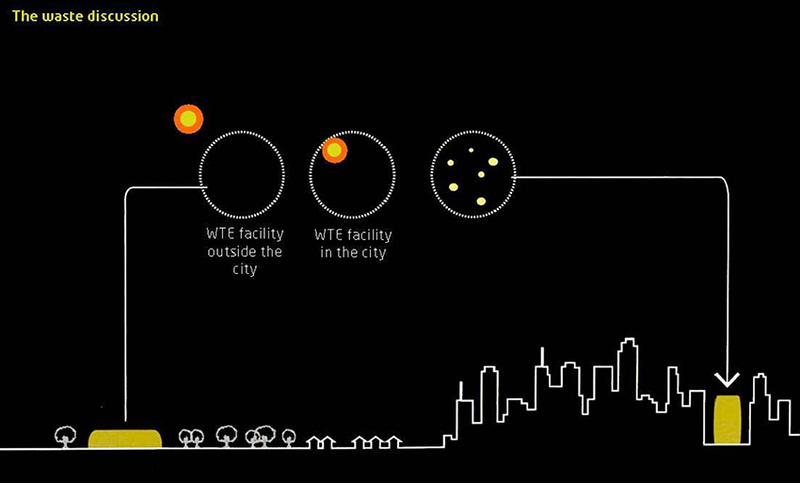 The slides shown highlighted how a waste treatment plant is capable of promoting a positive impact on several levels in terms of collective consensus, environmental education, and quality of the urban fabric. Other papers presented during the morning analysed the important relationship between wastes, urban spaces and society. 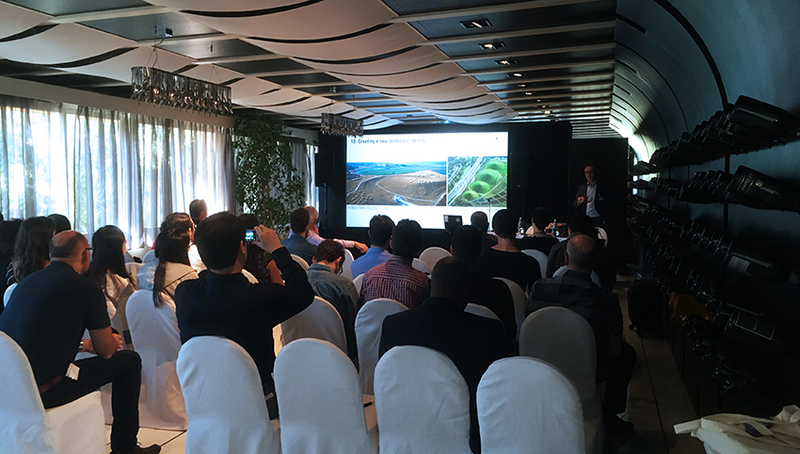 An entire session was devoted to the architecture of large waste treatment plants as addressed by a series of keynote projects worldwide. 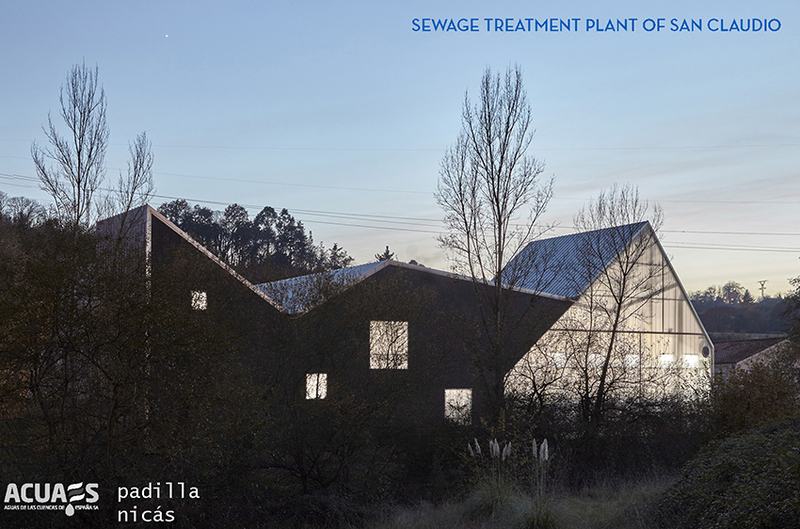 Amongst these, the renowned and multi-award winning project for the extension of an old water treatment plant in San Claudio, Spain was illustrated by the architects Juan Nicas and Francisco Padilla. The second day of the conference focussed increasingly on landfill and the general principles of territorial planning in a session that addressed a wide range of architectural aspects relating to landfill design and realization. In a session chaired by Engineer Elena Cossu from Studio Arcoplan, a series of case studies carried out worldwide underlined the opportunities afforded by old landfills to both the territory and the community when reinserted into the landscape with a view to functional reuse. Prof. Raffaello Cossu of the University of Padova, Italy, explained the importance of landfills in closing the material cycle loop, and Studio Arcoplan presented the findings obtained over a ten-year period devoted to the study and design of the functional rehabilitation of landfills for a sustainable territory. 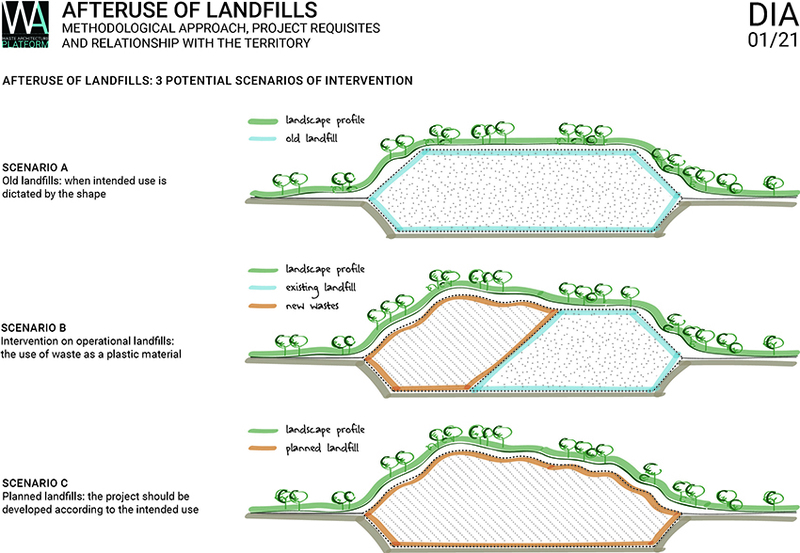 Following a detailed excursus into the large reference projects in the field, the architect Anna Artuso explained how existing modern landfills can represent an opportunity to provide new spaces for the community and thus yield an added value. With this prerogative, it would be of particular interest to study during the design stage potential functional uses not only for existing landfills, but specifically landfills that have yet to be developed, applying an approach that takes into account from the outset the future use of the plant from a technical and economical viewpoint. The success of this second edition of Waste Architecture Platform was achieved thanks to the high scientific value of the selected presentations, with speakers of the calibre of Hanif Kara (Harvard Graduate School of Design), Leire Asensio-Villoria (Melbourne School of Design) and Elisabet Höglund (Tyréns / Sweden) who illustrated their recently completed study relating to Architecture and Waste on the second day of the conference. The latter project focused on the potential contribution of architecture and design in promoting an enhanced integration into the local context of the structures needed to obtain energy from waste (incinerators) and addressed the multiple aspects linked to a potential reuse in the future. Important food for thought for the forthcoming editions of the Waste Architecture Platform was provided by these two days of scientific sessions. The multidisciplinary networking was appreciated by all participants, who highlighted the need for a more in-depth discussion with the economists with the aim of investigating economical issues that constitute one of the major limitations to the undertaking of projects in this field. Issues including a pressing need to review the current legislation, the establishment of specific project procedures, an increased involvement of and relevant training by the reference organisations will be discussed in detail in future editions. The spectacular location of Forte Village resort in Pula (Sardinia), renowned beach resort and venue of prestigious international events formed acted as a backdrop to this important moment of technical debate between the parties. Additional opportunities for discussion, networking and relaxation were also provided by the varied programme of organised evening activities, several of which hinged on diffusing the Japanese culture and traditions (Japan was invited to be the Special Guest Country of Sardinia 2017). The tea ceremony, origami and calligraphy lessons, sushi tasting, beach party, Sardinian dinner with folk dancing and singing, concerts, and an international football match were just a few of the numerous activities arranged on the social programme and which contributed towards making the Waste Architecture Session an excellent opportunity for an enjoyable working holiday.